Affordability is a hot topic in Canada's residential real estate market. While rising home prices mean greater value for homeowners, they can also translate to difficulties for prospective homebuyers. After all, a more expensive home will require more financing, something that can lead to more debt and ultimately foreclosure if a borrower is unable to stay current on their loan. It seems like not a day can go buy without some industry observer proclaiming that the sky is falling in the Canadian real estate market. However, if data from the Bank of Montreal is to be believed, maybe the end times aren't as certain as some may think. When evaluating the mortgage market, one of the best ways to understand how the industry is faring is to look at the ways consumers are going about the process of finding a mortgage. The manner in which borrowers react to rules and regulations, use various tools to search for mortgage information (including lender websites and mortgage calculators) and whether or not they choose to use a mortgage broker, are key indicators of the health of the overall market. Recently, the Canada Mortgage and Housing Corporation (CMHC) released a survey that revealed some of that information, and its results serve to shine some light on how borrowers feel about the mortgage process in 2013. 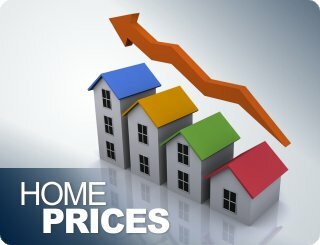 With Canadian and American mortgage rates being closely linked, there is little surprise to be seen on the faces of Royal Bank of Canada and Scotiabank officials as the remarks of U.S. Federal Reserve Chairman Ben Bernanke spurred rates for a five-year closed mortgage to a level of 4.26 percent as detailed in the Epoch Times. The Times' contributor Richard Kensington divulged "the Federal Open Markets Committee laid clear a path for higher interest rates in the U.S., which caused the 10-year treasury bond yield to hit 2.54 percent," causing a similar reaction in Canadian bond markets. Rates for five-year fixed-mortgages are climbing, effectively ending the trend of 3 percent five-year fixed-mortgage rates. According to Move Smartly, last week five-year fixed-mortgage rates rose and then rose again. The increase is a lender reaction to the Government of Canada's (GoC) bond market. The GoC's five-year bond yields have, in the past seven weeks, increased by 66 basis points. CBC News said that bank's are seeing their borrower's rates go higher and are therefore increasing lending rates to offset the costs. Historically low mortgage rates are continuing to make homeownership affordable for Canadians, according to the Royal Bank of Canada. Data from the RBC's Housing Trends and Affordability report shows that low mortgage rates are keeping Canadian homeowners from entering dangerously unaffordable territory. Additionally, the report stated that rate increases are likely not on the horizon. "Exceptionally low mortgage rates have been the main factor preventing affordability from reaching dangerous levels in recent years; yet, we believe that the likelihood of a surge in rates is slim at this stage," the report stated. According to Fitch Ratings' Canadian Residential Mortgage Loan Loss Model, there are six primary factors that influence mortgage defaults. These include borrower equity, borrower credit score, total debt service ratio, loan purpose, occupancy and property type. If it seems like Canada's housing market bounces back and forth from doom and gloom to optimism and sunshine faster than a mortgage application can be submitted, it's likely because it makes for better headlines than the truth: The market is cooling, but it's heading for a soft landing, not a crash. 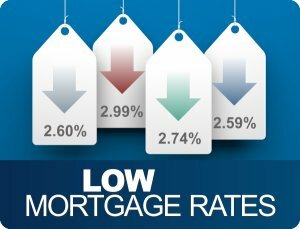 Mortgage rates remain near all-time lows, making it more affordable than ever for consumers to take the plunge into homeownership. Meanwhile, property prices continue to remain high. 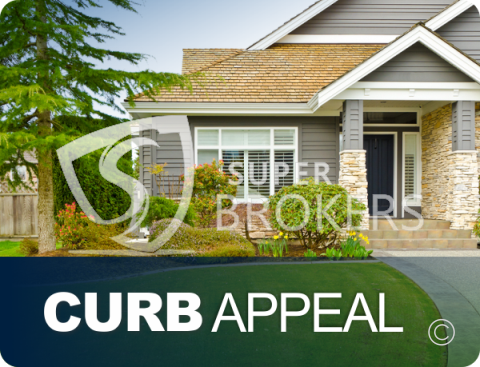 Many Canadian homeowners are looking to take advantage of historically low mortgage rates and upgrade to a new property. However, in order to do so, most will need to first sell their current home. 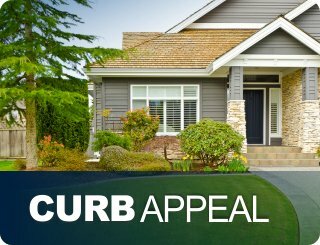 While a number of factors can affect how quickly a home will sell, it's important for homeowners to understand the importance of curb appeal. While the financial responsibilities that come with buying a home are important to consider, there's more to purchasing property than just home loans and mortgage rates. 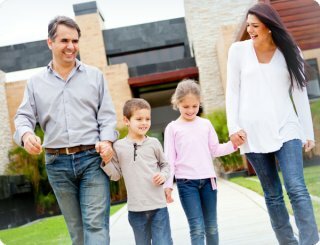 One aspect of homeownership that has become more discussed recently is the importance of walkability when choosing a home to buy. Walkability concerns how conducive a particular area is to pedestrian movement. This includes factors such as the availability of footpaths and sidewalks, amount of traffic, building accessibility, safety and other components. Did you know that you can save over $28,000 in interest on a $300,000 mortgage by simply switching to biweekly-accelerated payments? Find out how much you could save on your next mortgage with our new calculator. We offer Canadians some of the best mortgage rates available on the market. Contact our brokerage today and see why we are the top choice for online mortgages in Canada.